If you’ve ever had your trees TOPPED, then you know you hired an idiot...the moment you saw your trees, and every year after. They look awful, and your trees were worse off for it! Tree topping is NOT a professional practice. Edmond Tree NEVER tops trees, so you can rest confidently that this is not amongst our practices, and we will only engage in practices that will produce health and vibrancy in your trees for generations to come. Crown reduction is essentially a way of reigning a wild and unruly tree back in. This is the process by which we remove the tree’s outer canopy. In this procedure, we give the tree a smaller but similar outline of itself. This process is designed to spur on new growth. 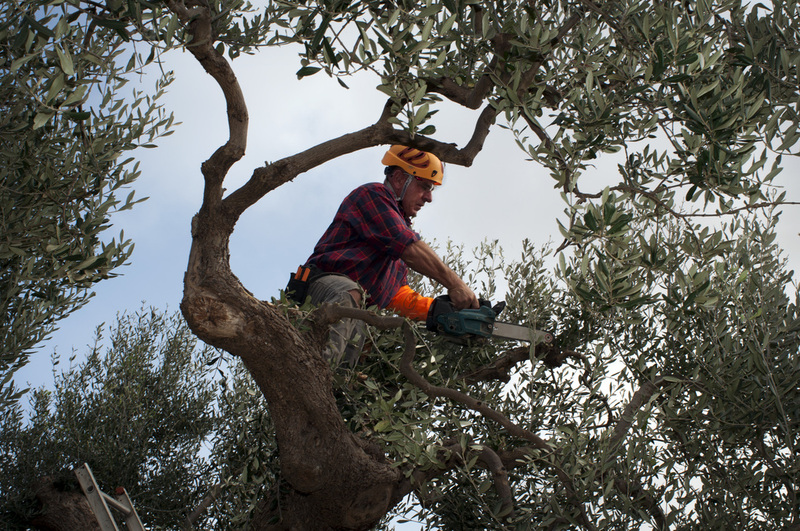 Throughout this process, instead of using any kind of a chainsaw, our Tree Surgeons typically use a smaller hand-held manual saw to be able to make precision cuts which will give off a better finished look to the tree. To gain more pass thru light for a garden or landscaped area. Provide clearing space between the tree and buildings or overhead cables. Reduce the amount of weight in the canopy that lower, weaker branches are having to support. Of course, we always clean up our mess with a wood chipper to take care of all of the excess branches we have taken out when beautifying your trees! If you believe that a Crown Reduction might be an appropriate fix for one or more of your trees, give us a call today at 405-562-5725 and let us breathe some new life in to your trees!